Decked out like the Sardauna of Sokoto last week, Maj. Gen. Kahinda Otafiire, lectured the Mbarara crowd on Bobi Wine. Complete with a fez on his head, the minister of Constitutional Affairs, was distinguishable from the Nigerian royalty, only by the yellow colour of the flowing robe. The colour, the agreeable signature of the NRM regime, may also have indicated the kind of talk that emanated from the general. It is common knowledge that nearly all the shortcomings in the performance of the regime are always blamed on somebody else – especially the former “swine regimes”. 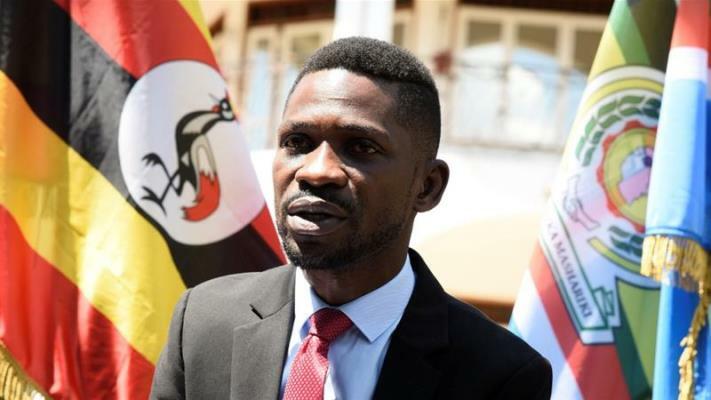 But this was a reference to a looming political contestant, the now-generation Kyadondo East MP, Robert Kyagulanyi; and suggestions were even to the times, before the swine regimes – the colonial period: that Bobi Wine is running to the colonialists for political, and more so, probably, for help in the on-coming election due in 2012. As a vendor of Pan-Africanism here in Uganda, it is easy to assume that Otafiire thought that the crowd he was addressing was not in a position to distinguish the actions of the colonial times, to Bobi Wine’s recent assistance to go to the United States for expert medical treatment, after last August brutal attack upon him and the Mityana Municipality MP, Francis Zake. Also, Bobi Wine’s invite to the Westminster precincts of the British Parliament could also have been mistaken for pandering to a Western power. Pan-Africanism wants to look into the capacities of African nations to address their own issues of socio-economic development. But Otafiire is well aware that this is by no means the practice. 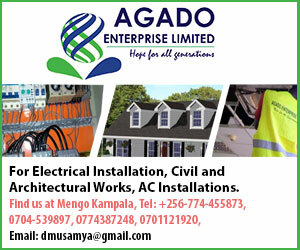 For starters, there are no colonialists attached to Uganda now – there is a former colonial power. Britain ended its protectorate status in Uganda in 1962, 57 years ago. Its attachment now is in the form of the Commonwealth of Nations, which comprises other former colonial territories. There are even some other countries, which had not been colonized by Britain, that have joined the Commonwealth. And as far as the United States is concerned, Uganda has never been colonized by it, even as Bobi Wine seeks other musical, academic and/or political attachments there. If one stretches Otaffire’s colonial argument to its ridiculous extents, then even the attachment of the NRM regime to other global power structures would become suspect. Its dilly-dallying with China in all the various aspects that it is involved in, would easily be mistaken for a throwback to the Cold War period in which Democracy was at loggerheads with Communism. Again, stretching this further, it would indicate that the NRM professing to the democratic principles of: free speech, fair play, tolerable debate of other people’s opinions, financial transparency, free and fair elections and regard for public accountability, is simply deception. These are the ideas that have been handed down by the former colonial power. It is not that the practice of such means that we are being ruled by it, or them. It portrays the globalized nature of the world now! Conversely, by its association with Communist China, Otafiire would be indicating that the NRM regime should now adopt the dynastic nature of that regime, complete with its authoritarian practice of power. Yet the NRM regime professes to the economic liberalism, profoundly stated in the dictum: Leave my investors alone! Was that what he meant? A combination of communist dictatorial control tempered with an economic largesse of capitalist aggrandizement? This Otafiire talk was tied to the tenancy in power of the NRM regime: “We shall not leave power to these musicians,” etc. This assertion implicates the NRM in not practicing the democratic principles. It is a declaration of not ceding power at any cost. 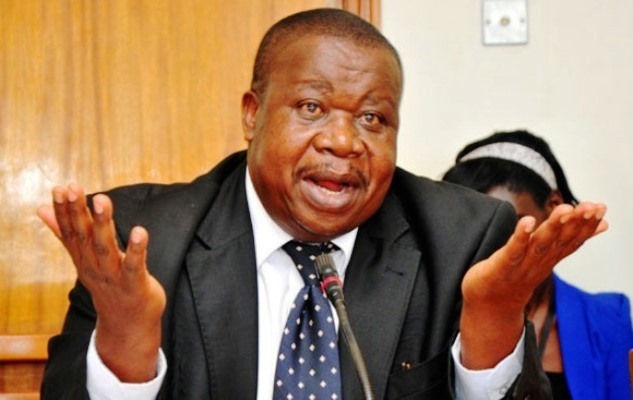 It means that Otaffire is telling the nation that there will probably be no elections, come to 2012 – because if there are elections and the NRM was defeated at the polls, the acceptable democratic practice is that, it would recognize the winner and hand over power peacefully. That is not what Otafiire is telling the population. He is in effect saying that, even if there is an election, and any other party or group of parties wins, the NRM will not cede power. In fact, that is the easy option; the other is that, it will deal in all political malpractices to remain in power. There are various ways, some of which have been alluded to by other politicians, such as: a declaration of a state of emergency; a palace coup d’ etat; or an abrogation of Parliament. In all these, is Otafiire saying that Uganda is in for an NRM only rule?